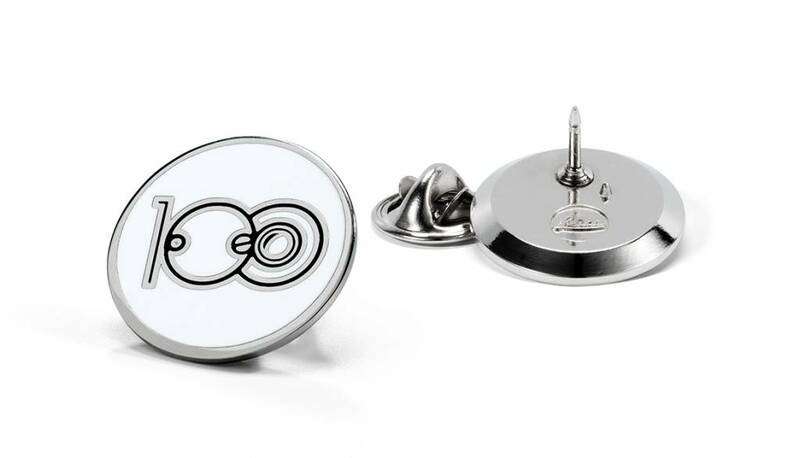 100 years of Leica pin. Limited edition, Leica logo embossment (back-side). 2cm diameter brass.